One of my favorite annual rituals is attending the SHOT Show. This event might be best described as the world’s largest firearms bazaar where manufacturers, large and small, display their wares and introduce new products. This year’s event was held January 23-26, 2018, in Las Vegas, Nevada. A couple of days of hard touring will put even the most jaded firearms enthusiast into sensory overload. It’s just impossible to take it all in! There are, of course, thousands of items of interest to the law enforcement professional, including guns, ammunition and accessories. What follows are some brief descriptions of new firearms which might appeal to police professionals and there might be something else in this mix to keep you a little safer. Although not a new pistol, the APX was Beretta’s submission for the recent Army XM17 Modular Handgun System competition. Chambered for both the 9mm and .40S&W, the Beretta APX marries a fiberglass reinforced technopolymer frame to a steel slide and barrel. The APX is a full-size service pistol which utilizes a locked breech operating system. It is indeed a modular handgun and utilizes a serialized, removable chassis which can easily be separated from the grip frame for routine maintenance and cleaning. Interchangeable backstraps of different thickness and configuration allow the end user to optimize hand fit. The trigger breaks with about six pounds of rearward pressure and has a short tactile reset. Slide serrations are especially prominent on the APX and provide a positive gripping surface for easy manipulation. Three dot sights are standard and tritium sights are available as a factory option. Like all contemporary service pistols, a rail for the mounting of a white light or laser is molded into the frame. This year, FN is introducing an ultracompact version of the FN SCAR® rifle to the law enforcement market. The SCAR SC has external dimensions similar to a submachine gun, but packs a more decisive 5.56mm punch. With its stock fully extended, the SCAR SC measures a hardy 21.71 inches, perfect for tight spots such as doors or hallways or deployment from a vehicle. The subcompact version of the SCAR is select fire only and its sale is restricted to military and law enforcement. It utilizes a proven short stroke gas piston action and has a cyclic rate of 550-650 rounds per minute. The charging handle is nonreciprocating and the FN SCAR SC fires from a rotating, locking bolt. FN crafts the receiver from monolithic aluminum which is given a hard anodized finish. The barrel is 7.5 inches long and it features a chrome lining. To facilitate the mounting of optics, lights and lasers, the FN SCAR SC has a series of MIL-STD 1913 rails. Unloaded, the SCAR SC tips the scales at seven pounds. Its 30 round steel body magazine features a low friction follower for greater reliability. The extremely compact SCAR SC design is an interesting alternative to pistol caliber submachine guns and it can compete very favorably with other short barrel rifles. Like the Beretta APX, the Gen5 GLOCK hit the scene a little too late for last year’s SHOT Show, but has already made a big impact in the market. The Gen5 GLOCK includes 20 different design changes over the earlier Gen4 family to deliver an improved shooting experience. The casual observer will note an absence of finger grooves, the ambidextrous slide stop, as well as a flared magazine well. Less obvious is the exclusive nDLC finish and the GLOCK Marksman Barrel with enhanced polygonal rifling. The Gen5 family now includes the GLOCK 19, GLOCK 17, GLOCK 26, and GLOCK 34 in MOS configuration. The real showstopper, however, was the GLOCK 19X. It might be best described as a crossover pistol, as it uses the full-size frame of the GLOCK 17 along with the shorter slide of the GLOCK 19. Comparisons to the timeless Colt® Commander are not too far off the mark. The GLOCK 19X is also given the Gen5 treatment, along with a unique coyote colored nPVD slide, combined with a matching frame. New from Mossberg is a magazine fed variant of their workhorse 590 pump shotgun. The new 590M™ comes with a detachable, double stack box magazine which provides unrivaled continuity of fire in a pump-action shotgun. Not only does it hold more rounds, but it also makes for a much faster reload. Mossberg offers five, ten, 15 and 20 round magazines as accessories. A ten round magazine ships with the gun, but, to take advantage of the concept, the end user needs to acquire a few extras. Two M models include a basic bead sight model and another model with a railed foregrip, heat shield and ghost ring sights. The Remington 870 has been the most popular police shotgun for many years. Remington has offered a bewildering array of options for the 870 and, just when you think they have all the bases covered, they manage to put a new spin on this classic. The Model 870 DM sports a detachable six round magazine which allows the user to bring it back up to full complement in the shortest amount of time. One could mix and match ammunition and quickly exchange buckshot for rifled slugs to meet the demands of the situation. Best of all, the 870 DM delivers rock-solid Remington reliability with vital controls in the same familiar location. Of late, Ruger has brought all sorts of interesting products forward, many of which have great appeal to the law enforcement professional. Brand-new to the Ruger fold is the Security-9™, an affordable 9mm pistol with some well-thought-of features. The Security-9 is a polymer frame pistol which uses a trigger system Ruger defined as a Secure Action. It combines the smooth trigger pull of the LCP® II, with the short, crisp feel and positive reset of a single action. At first glance, it might look like a striker-fired pistol, but it is, in fact, a hammer-fired design. The Security-9 is small enough for discreet carry, yet would be right at home in a Sam Browne duty rig. Positive qualities include decent sights; a textured, comfortable grip; and a surprisingly good trigger. For those who are old enough to remember the Ruger Security-Six revolver of the 1970s, the new Security-9 is true to the tradition of a pretty solid gun at a very reasonable price. Some months ago, I heard rumblings that Ruger was going to make another attempt at bringing a pistol caliber carbine to the market. I’m happy to report that the new Ruger PC Carbine™ eclipses their earlier effort in every way. Chambered for the 9mm cartridge, the PC Carbine is a blowback design and major components include a 7075-T6 aluminum receiver, a chrome-moly steel barrel and a synthetic stock. An integrated Picatinny rail can be found on top of the receiver, while a smaller rail is located on the forend for the mounting of a light or laser. A rugged set of ghost ring sights is standard. Perhaps the best feature of the PC Carbine is the much improved trigger. This time around, Ruger borrowed heavily from their highly successful 10/22 rimfire rifle to create a very workable trigger with minimal overtravel and a positive reset. You won’t necessarily mistake it for the trigger of a precision rifle, but it is light years beyond that of their original pistol caliber carbine. 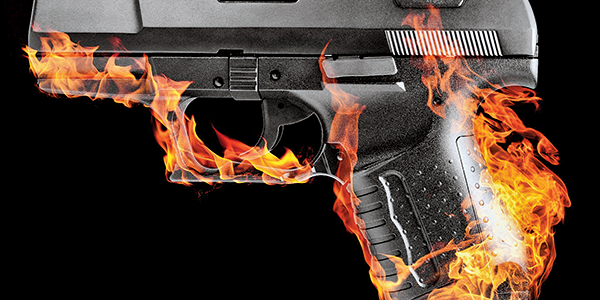 SIG SAUER is one of the true innovators in the industry and they continue to blaze new trails. New this year is the SIG SAUER P365. SIG describes the P365 as a microcompact and, after checking it out, I’m convinced it will give some of the other pistols in this class some serious competition. Designed for discreet carry, the P365 is a striker-fired pistol with a polymer grip frame. The total length of the P365 is a tad less than six inches and it’s only an inch wide. High visibility SIG X-RAY3 sights are standard to help get on target in any light condition. The P365 ships with a pair of ten round magazines. A most unique quality of the P365 is the tapered magazine which is a double stack on the bottom and trims down to a single stack on top. This not only gives the P365 a leg up on capacity over competitive designs, but also makes for a very manageable grip. Factor in a clean, crisp trigger and you’ve got a world beater on your hands. Short Barrel Rifles (SBRs) are the hot ticket these days and the latest spin on the SIG SAUER VIRTUS looks like another winner. Like other members of the VIRTUS tribe, the SIG MCX VIRTUS SBR is modular in nature and key components, such as the barrel, handguard and even chambering can be easily switched out, depending on the application at hand. The Matchlite™ Duo Trigger is a cut above other rifles of this type which will, no doubt, contribute to hit potential. A folding five position, adjustable stock is yet another unique feature. Ambidextrous AR-style controls are in the same familiar location which will speed up the learning curve for users of the VIRTUS SBR. The evolution of the Smith & Wesson M&P® autoloader continues. Last year, S&W introduced the M&P M2.0™ series which boasted a number of improvements over the original platform. This time around, they’ve launched the M&P 2.0 Compact in both 9mm and .40S&W. Length and height of the M2.0 Compact is slightly trimmed back from the full-size service pistol. What you end up with is a double duty gun which can be carried in either plain clothes or in a duty rig. All the M2.0 enhancements are incorporated into the Compacts, including an aggressively textured grip with interchangeable palm swell inserts and a crisp trigger with a short tactile reset. Models are available with, or without, an ambidextrous frame mounted safety. The magazine capacity in the 9mm Compact is 15 rounds, while the .40S&W copy will hold 13 rounds. The M&P Shield™ pistol has gone on to become one of the most popular pistols for concealed carry and it, too, has now been given the 2.0 upgrades. Models of the 2.0 Shield are available in 9mm and .40S&W. To further sweeten the pot, Smith & Wesson is now offering versions of the Shield with laser and laser/light combinations from Crimson Trace. Many folks associate Springfield Armory with the M1A™ rifle or 1911 pistol, but they produce many other products ideally suited for the law enforcement professional. This year, Springfield Armory introduced a few new variants of the SAINT™ rifle which should find a receptive audience. The Springfield Armory SAINT is a reasonably priced AR style rifle which includes a number of highly desirable frills as standard. It remains an excellent option for agencies or individual officers looking to purchase a quality AR-15 style rifle. Small pistols are a hot ticket these days and Springfield Armory has answered the call. A few months prior to the SHOT Show, they introduced the XD-E™ 9mm which represents a major deviation from the striker-fired pistols which dominate the market. The single stack XD-E is a hammer-fired, micropistol chambered for the 9mm and .45 ACP. Its trigger action is traditional DA/SA with a relatively long, heavy stroke for the first shot and a much lighter, shorter pull for subsequent shots. To my thinking, the DA/SA Springfield Armory XD-E is an ideal choice for folks who prefer appendix, inside the waistband carry. Truth be told, I’m just not a big fan of putting a striker-fired pistol down the front of my pants and the hammer-fired XD-E effectively resolves my concerns. Springfield’s popular striker-fired micro XD® was also given a facelift. The XD-S® Mod.2™ .45 ACP has enhanced grip texturing, a higher hand position on the grip frame, a trimmer slide, and an improved trigger. A fiber-optic front and low profile rear represent standard sighting equipment, but other options, including a Viridian® laser, will be available shortly. A grip safety, a trigger safety and loaded chamber indicator are barriers against an unintentional discharge. Brand-new from Springfield Armory is the 911 .380 ACP pistol. This single-action mini blaster is similar in many respects to the classic 1911 and that alone will broaden its appeal. The 911 uses an aluminum alloy frame with either a stainless steel or black nitride slide to create a very small, lightweight carry package. Total length is only 5.5 inches with a height of four inches. Sights consist of an AmeriGlo® Pro-Glo™ front and tactical rack rear and this lefty likes the fact that the 911 has an ambidextrous safety. Truth be told, I don’t get all warm and fuzzy over .380 ACP pistols as a primary carry piece, especially when you can get a micro-size 9mm and only pay a slight size penalty. But, I remain a big proponent of backup guns and the SA911 would excel in that role. A few years ago, Walther introduced their PPQ® line of striker-fired pistols which have met with critical success. The PPQ line has grown to include the second generation M2, pistols optimized for competition and variants in .45 ACP. But, one hole remained in their extensive line which has now been filled. Enter the PPQ SC subcompact. The PPQ SC is a chopped and channeled version of the original platform which is ideally suited for plainclothes and off-duty applications. It shares the superb trigger of the parent pistol, a rounded comfortable grip and distinctive Walther styling of the original. Its overall length is a trim 5.4 inches and, unloaded, it tips the scales at 21.1 ounces. Three dot combat sights are standard and metal surfaces are coated with Tenifer™ to resist corrosion. An ambidextrous slide stop and a Picatinny rail for the mounting of a laser or light are also part of the package. The magazine capacity is ten rounds. Small hideout pistols such as the PPQ SC have pushed lesser guns to the back burner. Eleven rounds of 9mm ammunition immediately at your disposal makes for a formidable combination. In addition to the products previously reviewed, there were a couple of other firearms which showed promise, but weren’t ready for prime time. Hopefully, that will change over the next few months and we’ll be able to see if they can make an impact in a very competitive market. Archon Firearms displayed their Type B striker-fired 9mm pistol which looked like it had a great deal of potential. It features a very low bore axis, aggressive gripping surface and a proprietary recoil reducing mechanical design. The grip felt very comfortable and the Type B will accept front and rear sights designed for GLOCK pistols. Avidity Arms displayed a striker-fired, polymer frame pistol which could fill another neglected niche. On the surface, this sounds like the same formula used by a dozen or so different manufacturers, but there is a big difference. The Avidity Arms PD10 is a single stack pistol with a four inch barrel. So, what’s the rub? Double stack pistols often have a grip circumference too large for users with small hands. Contrary to popular opinion, giving these same potential users a subcompact pistol with a short, fat grip does not help their cause and, if anything, a shorter sight radius just makes it more difficult. The Avidity Arms PD10, with its slim grip, four inch barrel and longer slide, represents salvation for users with small hands. For that matter, it would be a good bet for shooters with larger hands as well. I look forward to the 2019 SHOT Show. There is no doubt in my mind that there will be a fresh array of new firearms to report. 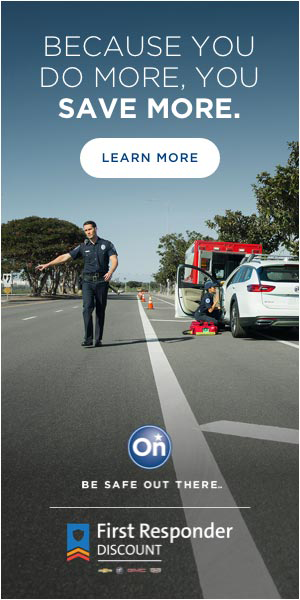 For further information, check out the OD40 at www.longdistancelight.com.